It is no secret that the University has a reputation for knowing how to have fun. 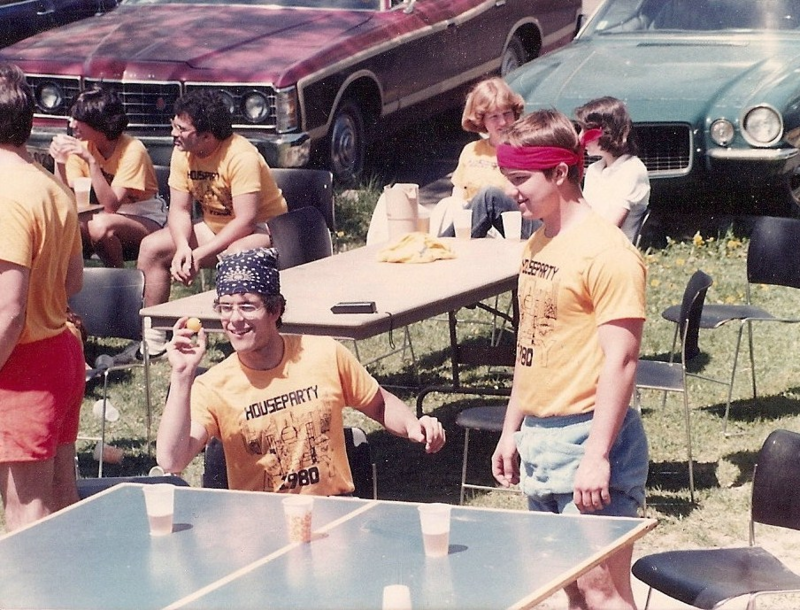 “Throw pong,” now known by most of us as beer pong, was invented on our very own campus in the 1970s and most weekends you can still find it being played today. Yet, this perception is not all positive. The party school culture not only routinely endangers the safety and lives of students, but is also often considered to devalue our diplomas. Considered to be a long-time staple of social culture at the University, House Party Weekend comes just as warm weather makes its way to Lewisburg. Fraternities open their downtown houses and backyards beginning early in the week, and many students host friends from out of town for the festivities. However, a look back at recent years tells a more complicated story than simply a weekend of fun. In the past, House Party Weekend was hosted uphill on campus and was a coordinated effort between University officials and fraternities alike. In 2013, citing multiple student hospitalizations and destruction of school property, President John Bravman announced that the situation had reached a tipping point and that House Party Weekend would no longer be sponsored by the University. Clearly, though, Bravman’s ban was not enough to abolish House Party Weekend overall; the festivities have only changed since then. Increased regulations on Greek life is a trend that many – students and faculty/staff, Greek or not–have observed in the past few years here. The Greek tradition of Welcome Night has followed a similar path in shifting off-campus, and there have been many mutterings of Greek life as a whole going by the wayside soon. Greek life on campus certainly has both its advantages and drawbacks. The fraternity and sorority culture often raises concerns of alcohol and drug misuse, sexual assault, and perpetuating heteronormative and patriarchal ideals. At the same time, it also can provide members with valuable leadership skills, alumni connections, philanthropy participation, and, of course, exciting social events. Therefore, when the system is properly monitored by the University, but more importantly by student-members themselves, Greek life can be a positive presence on our campus. These groups were founded on ideas of acceptance, service, and integrity – and should be upheld to act as such. Social life, without a doubt, is a valuable tenet of the college experience, and there is no use pretending that partying and alcohol do not play large roles in this for many students. However, whether House Party Weekend is University-sponsored or not, students and Greek organizations alike need to prioritize creating a safe and inclusive party atmosphere. Additionally, students who do choose to partake in House Party Weekend festivities should always be responsible in their alcohol consumption and accountable for their own behavior. So whatever you do this weekend – whether it is perfecting your pong shot or studying hard in Bertrand Library – be safe, take care of yourself and those around you, and have fun!